This Stuffed Pepper Casserole is even easier than traditional stuffed peps – but still SO delicious! 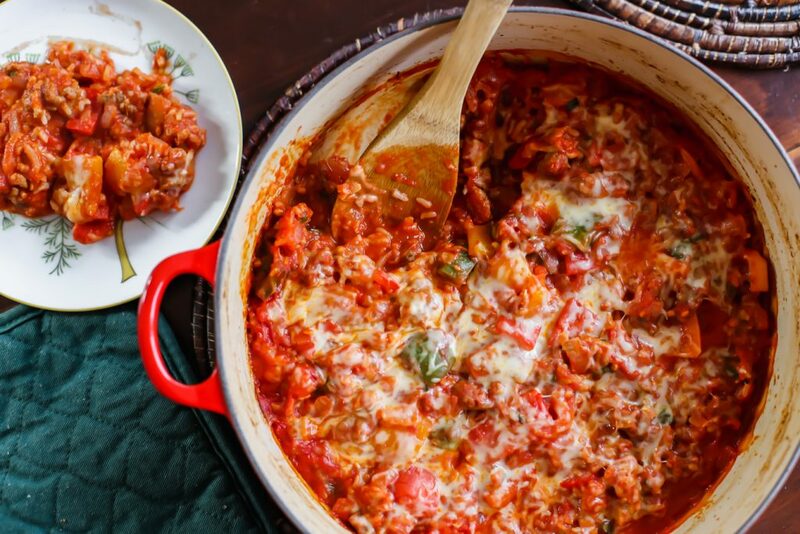 A few weeks ago, I was trying to think of what to make for dinner, and I realized we haven’t made Italian Stuffed Peppers recipe in a while (I shot that post in 2014! So crazy!). 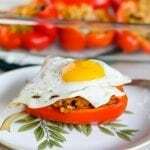 I make my Whole30 version a decent amount and I love this breakfast stuffed pepper recipe with cheddar cheese on top sometimes (so good!). But it’s been a while since I made the kind my Mom used to make for us. There’s nothing like the meat and rice in tomato saucy goodness with cheese on top. YUM! I was going to make them just as I usually do, and then it hit me. 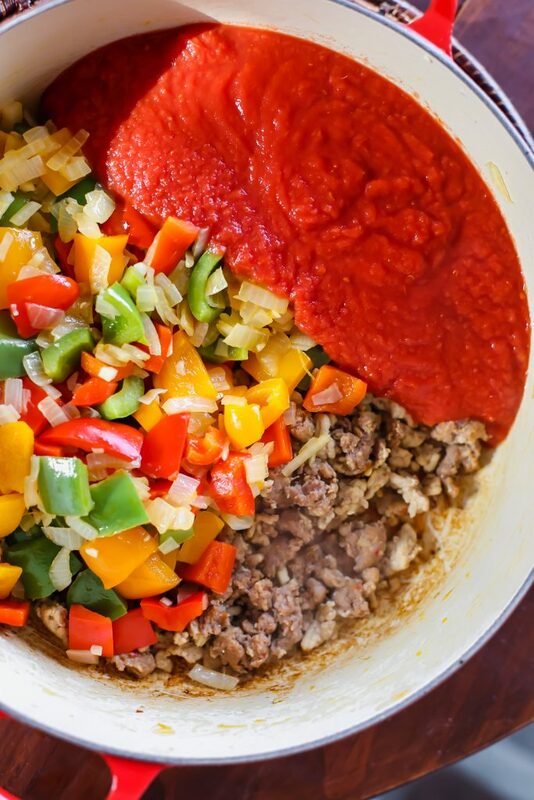 Since I always find myself “taste testing” the filling before I even put them it in the peppers, what if I add peppers to the filling and make a Stuffed Pepper Casserole? Umm YUM, right?! Easy, healthy, and so comforting. Obviously, this will vary slightly based on what shredded mozzarella you get (low moisture/whole milk) or if you get turkey/chicken sausage vs. pork sausage. 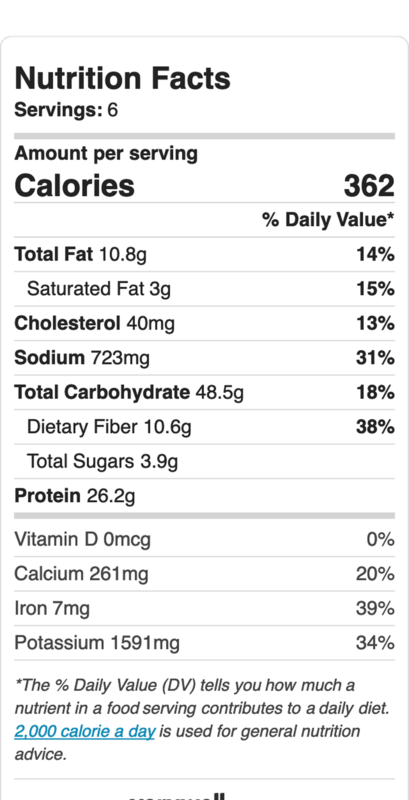 Definitely keep the nutrition facts in mind if you choose to make modifications like that! If you keep the recipe as I made it, you will get 26.2 grams of protein per serving – wahoo! You’ll also get 10.6 grams of fiber per serving, which is great for keeping your family nice and full. Also, if you want to cut back on the carbs, simply leave the brown rice out – or sub cauliflower rice in instead! Step One: Chop peppers, onion, and garlic. I cut the peppers into bite sized pieces. You definitely don’t want to cut them too small, otherwise they will cook down to the nothing by the time it’s ready to eat! That being said, you can definitely dice the onions into smaller pieces, and be sure to mince the garlic so no one gets a bit bite of it! Step Two: Sauté the veggies. 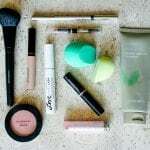 although there are less expensive options out there). Saute peppers and onions over medium high heat until just tender, about 10 minutes. Add garlic and saute for one more minute. Move everything to a separate bowl. Step Three: Cook the meat. In that same dutch oven, add ground turkey and take the sausage out of the casing. Break the meat up as it cooks. Step Four: Put it all together. Once the meat is cooked through, add peppers, onions and garlic back in. Add crushed tomatoes, tomato paste, and 1 cup of water. Simmer for about 5 minutes, and then add cooked brown rice, salt, pepper, parmesan cheese, and chopped basil. Stir to combine. 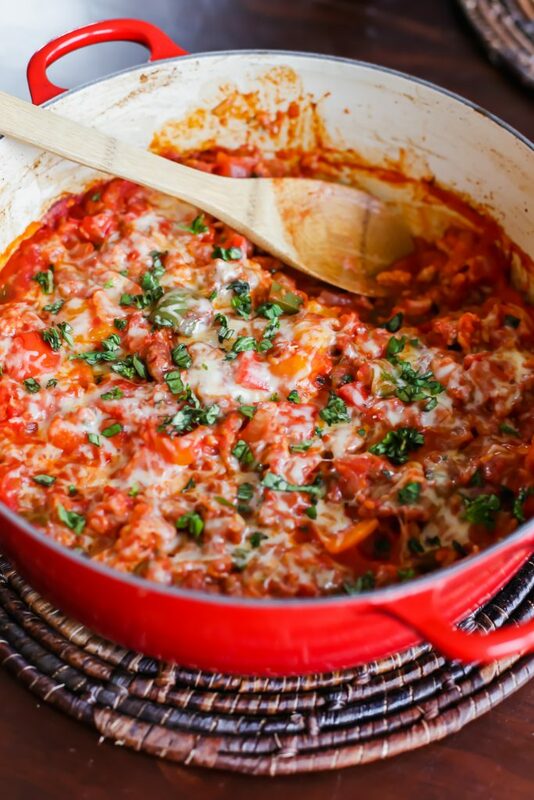 If you cook everything in a Le Creuset or a similar oven-safe dutch oven, this is a ONE POT MEAL! Woo! As I mentioned earlier, I know Le Creuset pots are expensive, but there are a ton of more affordable options! This Lodge Cast Iron Dutch Oven is $109 and just slightly smaller than the one I have. It’s the best for soups, risotto, casseroles – seriously, one of my favorite things in my kitchen! Make sure you buy raw sausage so you can remove the meat from the casing and crumble it as it cooks. This might seem like a no brainer, but there are so many pre-cooked sausages on the market right now. Also, be sure to buy quality sausage! Don’t skimp on this – it makes such a different in the flavor and texture of the dish. Whole Foods hot Italian turkey sausage is by far the best (in my opinion), but if you prefer pork or chicken, just look for organic or buy it from a trusted store. Pork will add a little bit more fat and oil, whereas chicken is even leaner than turkey. Just keep that in mind! If you prefer ground beef, you can use that instead of ground turkey – but definitely look for good quality grass fed beef. Although if you or your family hasn’t tried ground turkey in a while, I wouldn’t discount it! It’s really good in this recipe, even if your significant other and/or family tends to prefer beef. They might not even notice that it’s lean turkey because of all of the other flavors in there! I used short grain brown rice, but you could use a long grain rice, too. I just recommend using brown instead of white rice because I like the texture, but it also has a ton of fiber!! You could also use cauliflower rice if you are currently cutting back on your carbs, but it obviously won’t be as chewy or starchy as actual rice. TIP: Whole Foods sells frozen brown rice, which makes this recipe and every other weeknight dinner so much easier. 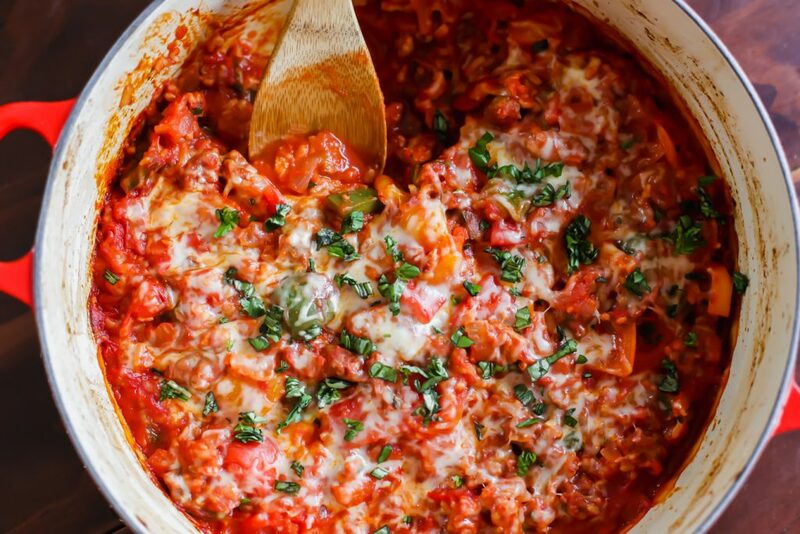 You can add it right into this casserole frozen! It’s seriously the best. If you can’t find that, usually 1/3 cup uncooked rice will make 1 cup cooked rice. That being said, if I’m cooking brown rice, I usually make at least a 1/2 cup uncooked brown rice so I have some extra for other lunches/dinners throughout the week. 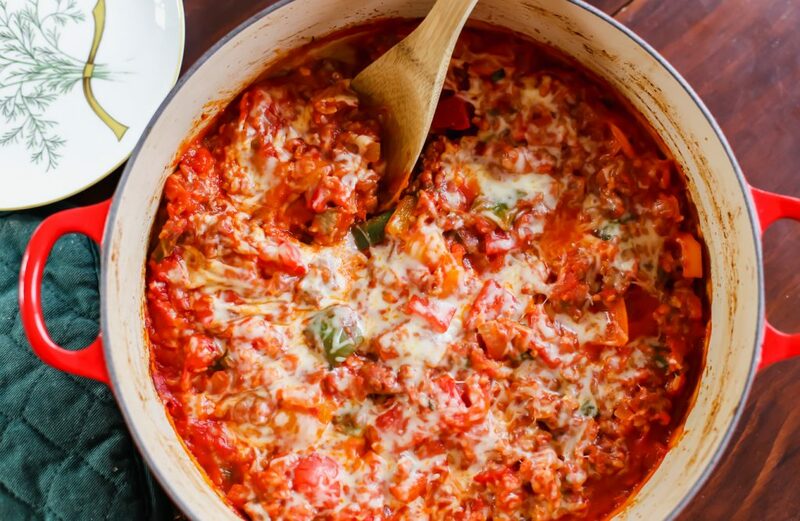 If you prefer your casserole to be a little bit chunkier, you can add diced tomatoes instead of crushed tomatoes – but the tomato sauce aspect of this pepper casserole might be a little thinner as a result. 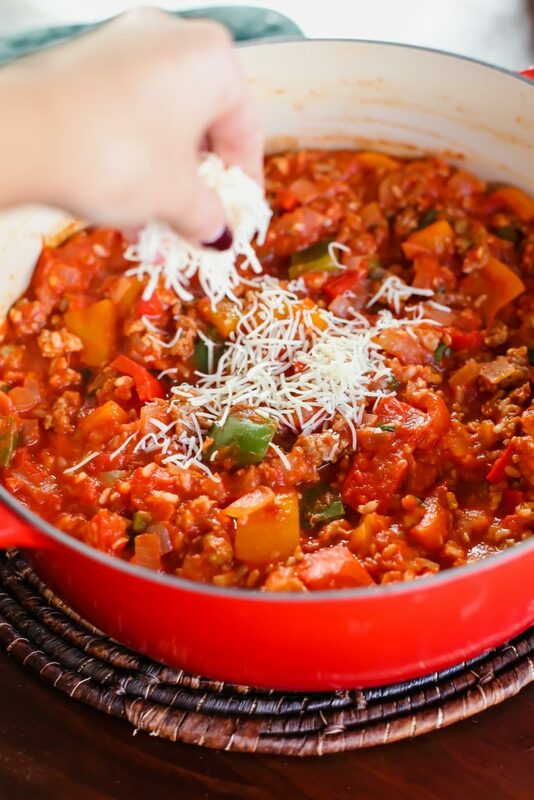 If you choose to use diced tomatoes, don’t add any water to the mixture. It probably won’t need any thinning. 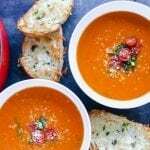 You might also want to add just a little bit more tomato paste, too – but you can use your judgement with both of those things. Feel free to use your favorite peppers – if you love green peppers, use those! If not, look for red, yellow, or orange. I personally like using one of each. It’s fun to have the variety, both for the flavors and colors! 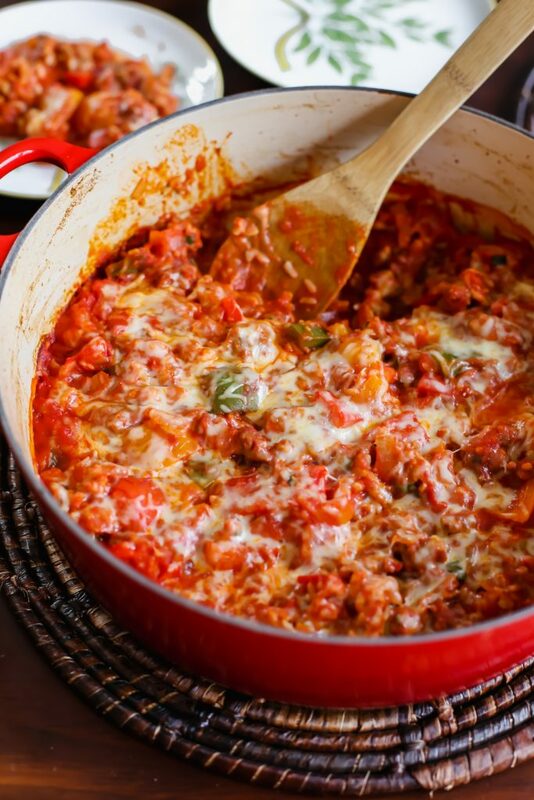 If you love stuffed peppers, you'll love this stuffed pepper casserole! 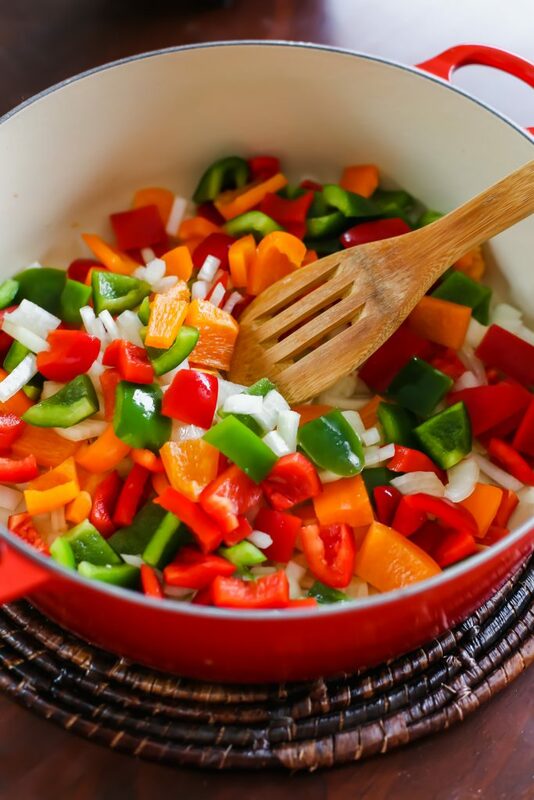 Chop peppers, onion, and garlic. Add olive oil to an oven safe dutch oven. Saute peppers and onions over medium high heat until just tender, about 10 minutes. Add garlic and saute for one more minute. Move everything to a separate bowl. Once the meat is cooked through, add peppers, onions and garlic back in. Add crushed tomatoes, tomato paste, and 1 cup of water. Simmer for about 5 minutes, and then add cooked brown rice, salt, pepper, parmesan cheese, and chopped basil. Stir to combine. 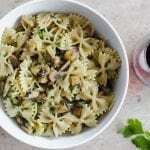 Serve with a simple arugula salad and enjoy! Want to remember this later? Pin the image below! I have not tested this in a slow cooker/crock pot yet, so I don’t have official suggestions for yet – but if you don’t want to wait for me to test it, here’s how I would attempt it! First, I’d cook the ground turkey and sausage meat in a separate pan on the stovetop until cooked through. Then add the meat to the slow cooker, along with chopped bell peppers, diced onion, minced garlic, crushed tomatoes, tomato paste, water, salt and pepper. Cook on low for about 4 hours. I’m sure there’s a way to cook the brown rice in the slow cooker, but since I don’t want to lead you astray, I’d add cooked brown rice, chopped basil, red pepper flakes (optional), and parmesan cheese after 4 hours. Stir to combine. Then sprinkle mozzarella cheese on top. Cover the slow cooker again, and let it cook on low for another hour so the flavors all meld together and the cheese on top gets nice and melty. Again, I haven’t tested this, so please don’t get mad at me if it needs tweaking! 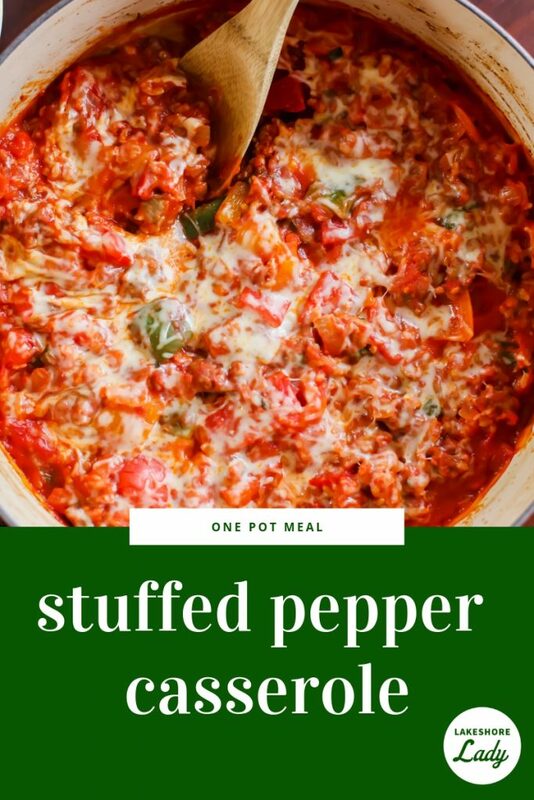 Let me know in the comments if you’re interested in this alternate recipe or if the one-pot, stovetop to oven method works best for you! Be sure to tag me on Instagram if you make this recipe! It makes my day when you guys make my recipes, so please don’t be shy! I’m really excited about this one – I really hope all of you like it as much as I do! PS. You might also like my other stuffed pepper recipes: Whole30 Stuffed Peppers, Breakfast Stuffed Peppers, and Italian Stuffed Peppers (this post is from 2014!). 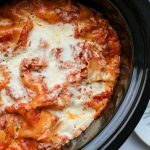 If you want something else warm and comforting, try my Pasta Fagioli Soup or my Crock Pot Lasagna with Zucchini. 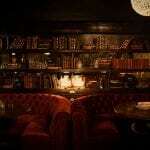 « Mindful Monday: Knowledge. Patience. Trust.